Is the oven of your range not heating properly? Do you have similar problems with the stove top’s burner elements? 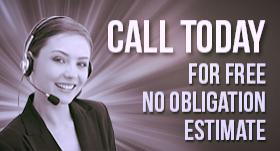 Contact our company. With expertise in both electric and gas appliances, we provide effective range repair in White Rock, British Columbia. Our pro will bring with him all the necessary spares in case he must replace parts. Rest assured that our team doesn’t only fix problems with the existing range but also installs new cooking appliances. Ask the assistance of our experts here at Appliance Repair White Rock no matter what your range needs are. We surely fix stove top trouble as well. If one or more burners are not heating, give us a call. If they spark, allow us to check the cooking appliance, test its elements, and fix the problem. There are several differences between gas and electric ranges but also among models and brands. Rest assured that our techs have the knowledge to fix them all. 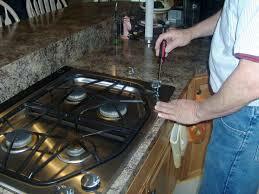 We provide electric range repair aware of the possible roots of problems. Whether there is a problem with the electric oven control, thermostat, or heating elements, our techs will find the loose, weakened or burnt parts and replace them. Trust us to provide speedy gas range repair. If the igniter is weakened, the valves are damaged, or the sensors are problematic, the range won’t work well or at all. Our pros always rush to repair gas ranges and complete the job on the spot. To be sure of the good performance of your appliance, call us for gas range installation too. We make sure all wiring is properly connected and the igniter works fine. Our pros install gas and electric ranges correctly. We do any job related to your range correctly. Our pros have the know-how and experience to repair and install all types of ranges. So, contact our White Rock range repair specialists if you need assistance.